Eric Howard is the Director of Strategic Partnerships at Second Nature. Based in Boston, he guides the development of dynamic partnerships, integrating them into our climate action programs and our advocacy and policy efforts. He builds new alliances that align with our core areas of expertise and advances activities that will have a positive impact on the communities we serve. To support capacity building and the exchange of knowledge, Eric has produced over 100 conferences, workshops, and symposia in seventeen countries on topics such as sustainability, global health, advanced manufacturing, nanotechnology, information access, and economic development. For eight years, he contributed the section on soil and desertification for the Yearbook of International Environmental Law. In 2007, the US Department of State awarded him a Certificate of Appreciation for his work in science diplomacy. Eric has a B.A. in Geology from Wesleyan University (1986), and a Master of Environmental Management degree from Duke University (1989), and a Certificate in Business Administration from Northeastern University (2016). 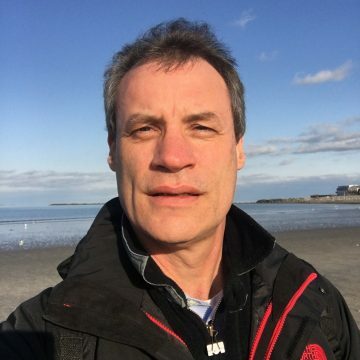 He is currently finishing doctoral work at Northeastern on Organizational Leadership addresses knowledge-sharing practices of those involved in university-corporate research partnerships. Eric lives north of Boston, and his children attend various East Coast universities.